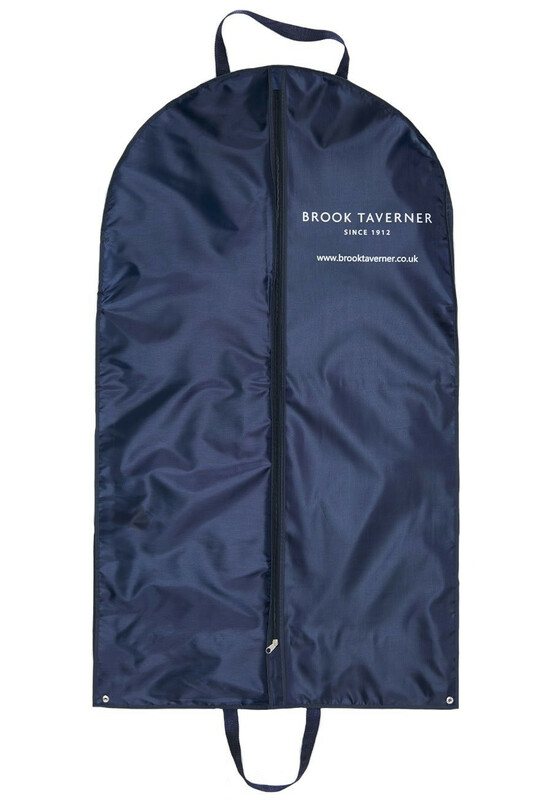 Travel in style with our Brook Taverner suit carrier. Suit Carrier: Rear zip compartment. Top and bottom hook. Full length - 106cm.